NORTH ADAMS, Mass. 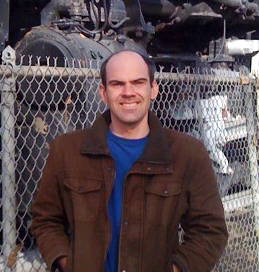 — Some boys never grow up, Brian A. Donelson freely admits when talking about his passion for trains and model railroads. From his Shelburne Falls childhood, he “knew the ‘Hoot, Toot and Whistle Railroad,'” using the local nickname for the long-defunct Hoosac Tunnel and Wilmington Railroad. 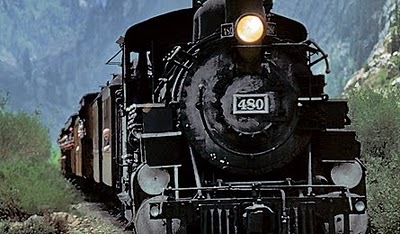 Now 70, the railroad buff is hoping to share some of his love for trains with “The Coming of the Train,” the first in a two-volume set on the history and importance of rail in the region. About 10 years ago, his concern that the history of the railroad was being forgotten sparked an interest in gathering information that he could share with historical societies — and anyone else who would appreciate the knowledge. As he became immersed in extensive research, however, the seeds of “The Coming of the Train” was planted in his mind. “I wanted it to be more than a railroad book. In order to convey the importance of the Hoosac Tunnel and Wilmington Railroad, its impact on the industries and the people of the upper Deerfield River Valley needed to be understood,” Donelson writes in the book’s foreword. 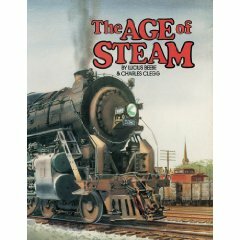 This legendary train book by celebrated author, Virginia Lee Burton, is a fun story about a steam engine named “Choo-Choo” who isn’t content and wants to show off. The engine is tired of pulling heavy coaches and wants to run by herself so everyone can see how shiny and fast she is. 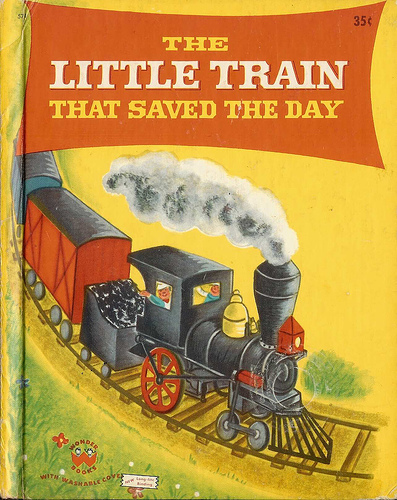 The story then continues to describe Choo-Choo’s adventure as she runs away. The book is beautfully illustrated and makes for a fun read for any train fan with it’s captivating and imaginative story line. 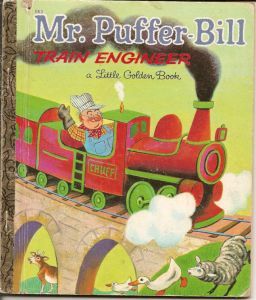 This is another one of those train books that I grew up with. It’s a great story about a little freight train that was unappreciated by the big excursion trains. It went along it’s merry way collecting freight cars and delivering goods until one day the big, bad excursion train had broken down. All the passengers climbed on board the little freight train who brought them all home safely to the station. The little freight train had saved the day. The illustrations in this book are awesome. It displays the freight train going from stop to stop to pick up tank cars, box cars, flat cars and more. My favorite is the camp site that it travels through. This train book dates back to the 1950’s.